Dr. Jennifer Finn, Chiropractor Clarks Summit, is committed to helping her patients live a healthier life at Finn Chiropractic Center. She will take the time to listen carefully to your needs and develop a personalized plan to help you feel better and enjoy peak health. Dr. Jennifer and her staff have created a relaxed and peaceful atmosphere at the practice, and they look forward to welcoming and serving your entire family. At Finn Chiropractic Center we believe that everyone deserves special attention when they walk through our doors. 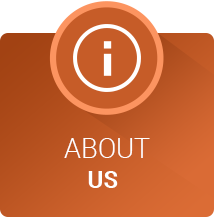 We are steadfastly committed to listening to your needs and providing excellent care that gives you help and hope. You’ll also be provided with the tools necessary to have a healthy life and future. We hear this comment over and over. So many have waited, not sure if chiropractic care would help them, only to find out, that yes, it’s just what they have been looking for. They are relieved to discover that chiropractic is safe, gentle and noninvasive; most importantly, it’s effective. 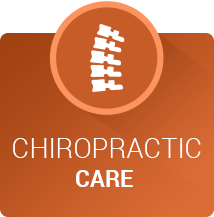 Clarks Summit chiropractor , Dr. Jennifer has experience providing personalized care for patients young and old with a variety of needs and concerns. 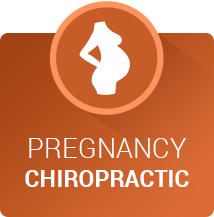 She has a particular passion for working with children and providing prenatal chiropractic care for pregnant women. She is certified in the Webster Technique and has received specialized training in pediatric chiropractic care. At Finn Chiropractic Center we even have a child-friendly waiting area to accommodate our youngest patients. We know you’re busy. That’s why we offer same-day appointments as well as emergency hours and free consultations. We are a provider for Blue Cross Blue Shield, Highmark, and Medicare. We do not participate or accept Medicaid/Access insurance. Feel free to call the office if you have any insurance questions. Seeking relief from pain, or just have the desire to live a healthier life? If so, contact us today and see what chiropractic can do for you! Serving Clarks Summit and our neighbors in Scranton, Moosic, Clarks Green, Waverly Township, South Abington Township, Glenburn Township, Chinchilla, Dalton, and Factoryville. We had an amazing experience! Dr. Finn was patient, kind, understanding, gentle, and extremely thorough. We are definitely in good hands. Everyone was really helpful and knowledgeable. I enjoyed my experience very much. Overall health is excellent since monthly adjustments. I’ve seen many more health benefits from an adjustment than I ever expected. Dr. Finn and staff are very friendly and easy to talk to. Very clean and wonderful practice/office. I feel very comfortable with the entire team at the office, so I think I found a new chiropractic home! How did I go for so long without you? and WHY?? Staff was very pleasant & accommodating with scheduling appointment. I go once a month for an adjustment and it just improves my overall health. Thank you! Just loved you and your staff! :It was a great experience all around! I’m looking forward to coming back. Felt very at ease, a lot of questions answered, and some good Advice given for me to start recovery. Dr. Finn is great!!! Would recommend to anyone! I’ve had less pain, better digestion, sinus relief, stronger immune system and better sleep! If she can’t fix your back, no one can! Great care, knowledgeable staff. I give it two thumbs up ! WAY UP ! You are all wonderful and caring people. It meant so much to me that on a day I was really struggling you were willing to see me as an NP and squeeze me in even with your full schedule. Thank you! Great staff and Doc treats you like family! After speaking with Dr. Finn, I felt quite confident that the procedure would help. I found the atmosphere in the office friendly, personal, and very relaxed. This added to the positive experience I had. Dr. Jenn is very professional and an expert in her field, I look forward to her helping me feel better. Love the whole staff. Dr Jenn is the BEST! I suggest her to my clients. I have seen tremendous improvement since I started with Dr Finn. With her knowledge and compassion she has truly been able to focus on my issues. Definitely someone who is dedicated to her profession!! I can sleep better and my migraines are more manageable…. Love the Doctor and her amazing staff. Always friendly and caring. I felt very comfortable and have no hesitation with returning and telling others about my experience.